There are many reasons why you might be losing your hair, but the one cause of hair loss that gets the lion’s share of attention is androgenic alopecia, also known as male or female pattern hair loss. 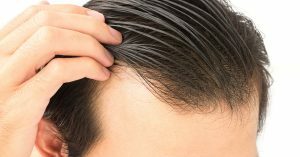 That is the most common form of hair loss, but there are other causes such as alopecia areata, which is sudden, patchy hair loss, or telogen effluvium which is related to changes in the growth cycle of hair. All sorts of things can factor into hair loss, from medication to tight hair buns, but what about anemia? RHRLI knows that patients have many questions about their hair loss and that many people have conditions like anemia and wonder how that plays into their hair loss. RHRLI offers treatment to all sorts of hair loss and we want our patients to know as much information as possible, especially about our Robotic Follicular Unit Extraction (FUE) procedure called the ARTAS® System. ARTAS® is a permanent solution to hair loss that uses a robotic arm to find healthy donor hairs. Then we’ll transfer them to areas of the scalp where they’re needed with precision that won’t waver as the procedure goes on. Your last graft will be just as accurate as the first. Our board-certified surgeon, Dr. Baiju Gohil will explain every aspect of the procedure to you and answer your questions. We want you to have as much information as possible, so we want to tell you about the relationship between anemia and hair loss. The Mayo Clinic describes anemia as a condition in which patients don’t have enough healthy red blood cells carrying enough oxygen to body tissues. Among the symptoms of anemia are fatigue, weakness, shortness of breath, dizziness, chest pain, irregular heart beats, cold hands or feet, headache and pale or yellowish skin. Anemia can be caused by your body not making enough red blood cells, bleeding out red blood cells quicker than they can be replaced, or having red blood cells destroyed by your body. But what is the relationship between anemia and hair loss? According to Healthline, the link between anemia and hair loss has to do with the oxygen content of your blood. When your blood doesn’t have enough iron, you can’t produce hemoglobin which carries the oxygen that’s vital for the growth and repair of your body’s cells. This includes hair cells. Most hair loss related to iron deficiency isn’t permanent. Usually a doctor will order a blood test that measures the level of a protein called ferritin which is involved in storing iron. If it turns out that a patient does have an iron deficiency, it’s usually treated with iron supplements. If you’re seeking a permanent solution for your hair loss, RHRLI can help. ARTAS® is a minimally invasive procedure. Unlike “strip surgery” which involves the use of scalpels and longer recovery times. With ARTAS® you won’t have to worry about longer recovery times and pain medications. Contact RHRLI today. Previous Post: « How Does Medication Affect My Hair?